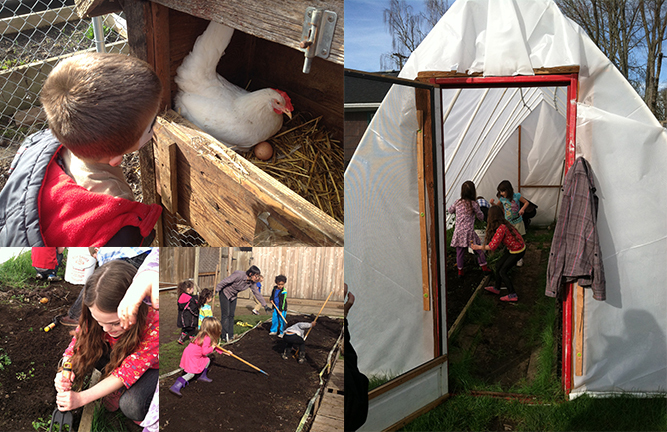 We have a program that integrates a STEM – based gardening curriculum and Spanish. The two instructors work together to deliver the lessons in both English and Spanish. They work with Toddlers through After-School age kids. For the younger children, we have Spanish circle time several times a week. Our gardening program is extensive; classrooms each have garden beds that they tend from planting through harvest under the guidance of the Garden Specialist and their teachers. We are deeply committed to making sure the children at the New Dream are connected to the earth and gardens. By integrating STEM curriculum, we bring an emphasis on science and nutrition to the garden program.